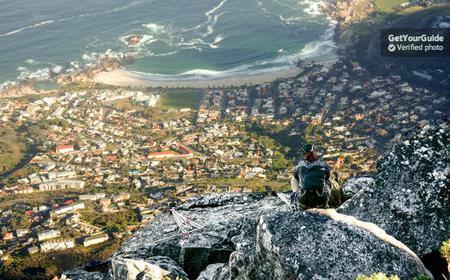 The Table Mountain is an iconic flat-topped mountain in Cape Town that rises to a height of 1085 metres, overlooking the entire city. 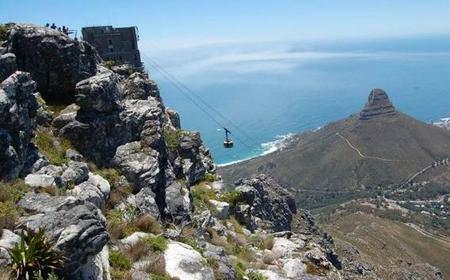 The Table Mountain is an iconic flat-topped mountain in Cape Town that rises to a height of 1085 metres, overlooking the entire city. 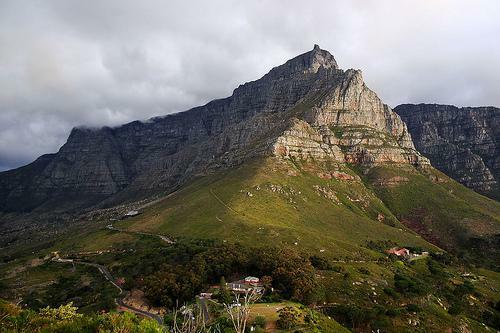 Flanked by the craggy Devil's Peak and Lion's Head, the 3 kilometre long plateau forms the natural amphitheatre of the City Bowl and Table Bay harbour. 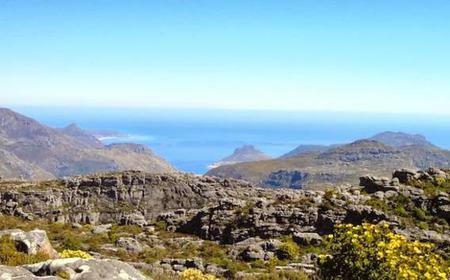 The Table Mountain National Park, which covers an area of 221 km2 around the peak, is part of the UNESCO Cape Floral Region World Heritage Site. 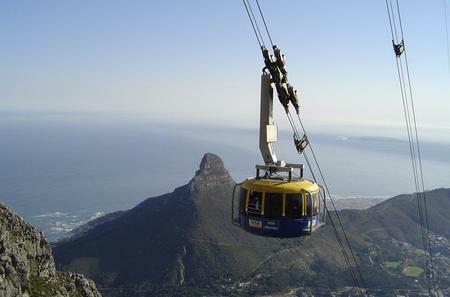 Take a 5 minute ride on the Table Mountain Aerial Cableway from the Lower Cable Station on Kloofnek Road to the top of the western edge, and enjoy the panoramic views over Cape Town, Table Bay, and Robben Island to the north, and the Atlantic seaboard to the west and south. 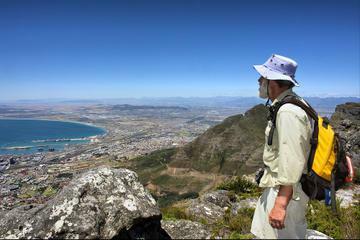 You can also take one of the 3 hiking trails, which run through the scrubby fynbos vegetation that is home to various species of fauna. 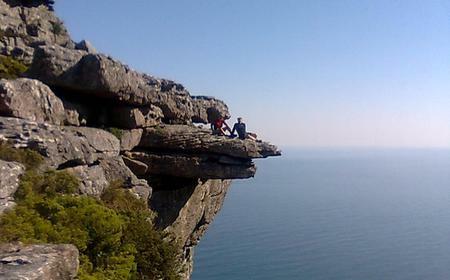 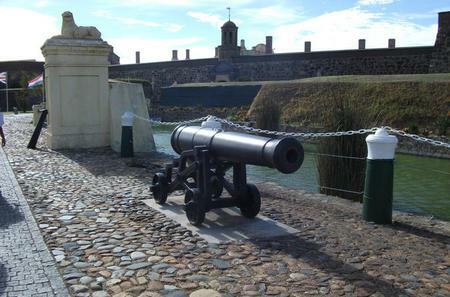 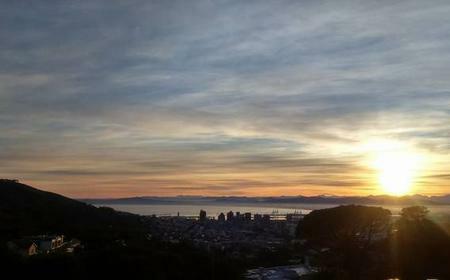 The short Dassie Walk takes just 15 minutes, and offers magnificent views to the north, south and west. 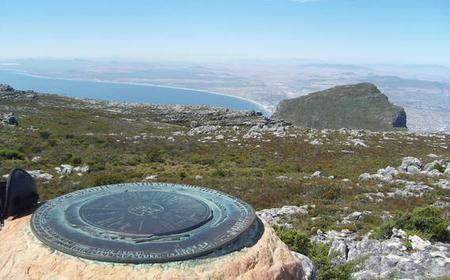 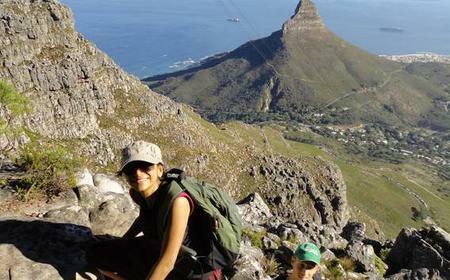 The Agama Walk takes half an hour, with 360 degrees panoramic views of Cape Town and the Cape Peninsula. 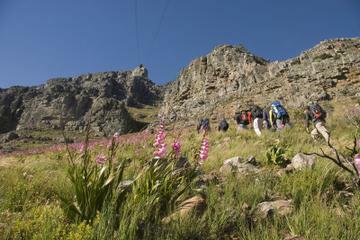 The Klipspringer Walk takes about 45 minutes, going along the edge of the plateau to the top of Platteklip Gorge. 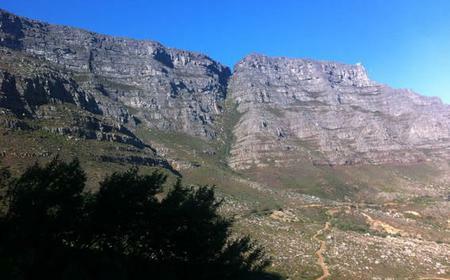 The Platteklip Gorge (Flat Stone Gorge) provides easy access to the highest point on the mountain which is marked by Maclear's Beacon, a stone cairn built in 1865 by Sir Thomas Maclear for trigonometrical survey.